CLEAN CARFAX, **BACK UP CAMERA**, **BLUETOOTH**. Meet all your Financing needs here at Headquarter Mazda! We are conveniently located just a few minutes West of Downtown Orlando, just off the Florida Turnpike between Winter Garden and Clermont! It's one of the easiest drive in Central Florida! Remember: "GET THE MAZDA SPIRIT" here at Headquarter Mazda! So take the easy drive from almost anywhere in Central Florida to visit us or just call one of our Professional Inventory Specialist for more information and schedule a VIP appointment. 1 OWNER**CLEAN CARFAX**, **BACK UP CAMERA**, **BLUETOOTH**. 27/31 City/Highway MPG CARFAX One-Owner. Meet all your Financing needs here at Headquarter Mazda! We are conveniently located just a few minutes West of Downtown Orlando, just off the Florida Turnpike between Winter Garden and Clermont! It's one of the easiest drive in Central Florida! Remember: "GET THE MAZDA SPIRIT" here at Headquarter Mazda! So take the easy drive from almost anywhere in Central Florida to visit us or just call one of our Professional Inventory Specialist for more information and schedule a VIP appointment. 1 OWNER**CLEAN CARFAX**, **BACK UP CAMERA**, **BLUETOOTH**, **LEATHER**, **NAVIGATION**. 21/30 City/Highway MPG Awards: * 2016 KBB.com Best Resale Value Awards * 2016 KBB.com Best Buy Awards Finalist CARFAX One-Owner. Meet all your Financing needs here at Headquarter Mazda! We are conveniently located just a few minutes West of Downtown Orlando, just off the Florida Turnpike between Winter Garden and Clermont! It's one of the easiest drive in Central Florida! Remember: "GET THE MAZDA SPIRIT" here at Headquarter Mazda! So take the easy drive from almost anywhere in Central Florida to visit us or just call one of our Professional Inventory Specialist for more information and schedule a VIP appointment. 1 OWNER**CLEAN CARFAX**, **BACK UP CAMERA**, **BLUETOOTH**, **LEATHER**. Odometer is 7525 miles below market average! 23/30 City/Highway MPG Awards: * 2016 IIHS Top Safety Pick+ * 2016 KBB.com 10 Best SUVs Under $25,000 CARFAX One-Owner. Meet all your Financing needs here at Headquarter Mazda! We are conveniently located just a few minutes West of Downtown Orlando, just off the Florida Turnpike between Winter Garden and Clermont! It's one of the easiest drive in Central Florida! Remember: "GET THE MAZDA SPIRIT" here at Headquarter Mazda! So take the easy drive from almost anywhere in Central Florida to visit us or just call one of our Professional Inventory Specialist for more information and schedule a VIP appointment. 1 OWNER**CLEAN CARFAX**, **BACK UP CAMERA**, **BLUETOOTH**. 25/31 City/Highway MPG Meet all your Financing needs here at Headquarter Mazda! We are conveniently located just a few minutes West of Downtown Orlando, just off the Florida Turnpike between Winter Garden and Clermont! It's one of the easiest drive in Central Florida! Remember: "GET THE MAZDA SPIRIT" here at Headquarter Mazda! So take the easy drive from almost anywhere in Central Florida to visit us or just call one of our Professional Inventory Specialist for more information and schedule a VIP appointment. CLEAN CARFAX, **BLUETOOTH**, **NAVIGATION**. Meet all your Financing needs here at Headquarter Mazda! We are conveniently located just a few minutes West of Downtown Orlando, just off the Florida Turnpike between Winter Garden and Clermont! It's one of the easiest drive in Central Florida! Remember: "GET THE MAZDA SPIRIT" here at Headquarter Mazda! So take the easy drive from almost anywhere in Central Florida to visit us or just call one of our Professional Inventory Specialist for more information and schedule a VIP appointment. 1 OWNER**CLEAN CARFAX**, **BACK UP CAMERA**, **BLUETOOTH**, **LEATHER**, **NAVIGATION**. 24/31 City/Highway MPG Meet all your Financing needs here at Headquarter Mazda! We are conveniently located just a few minutes West of Downtown Orlando, just off the Florida Turnpike between Winter Garden and Clermont! It's one of the easiest drive in Central Florida! Remember: "GET THE MAZDA SPIRIT" here at Headquarter Mazda! So take the easy drive from almost anywhere in Central Florida to visit us or just call one of our Professional Inventory Specialist for more information and schedule a VIP appointment. Meet all your Financing needs here at Headquarter Mazda! 22/28 City/Highway MPG We are conveniently located just a few minutes West of Downtown Orlando, just off the Florida Turnpike between Winter Garden and Clermont! It’s one of the easiest drive in Central Florida! Remember: "GET THE MAZDA SPIRIT" here at Headquarter Mazda! So take the easy drive from almost anywhere in Central Florida to visit us or just call one of our Professional Inventory Specialist for more information and schedule a VIP appointment. Priced below KBB Fair Purchase Price! PRE-AUCTION PRICED! !, LOCATED AT HEADQUARTER HONDA..., 1 owner, Limited Lifetime Car Washes, Safety Inspected for Worry Free Driving, Well Maintained!, AS-IS NO WARRANTY, CASH ONLY, Altima 2.5 S, 16" Wheels w/Full-Wheel Bolt-On Covers, ABS brakes, Air Conditioning, AM/FM/CD Radio, Bumpers: body-color, CD player, Front reading lights, Power door mirrors, Power windows, Rear window defroster, Remote keyless entry, Security system, Speed-sensing steering, Telescoping steering wheel. Odometer is 9428 miles below market average! 23/31 City/Highway MPG Awards: * 2009 KBB.com Brand Image Awards We are conveniently located just a few minutes West of Downtown Orlando, just off the Florida Turnpike between Winter Garden and Clermont! It’s one of the easiest drive in Central Florida! Remember: "Headquarter Honda Gets You There!" So take the easy drive from almost anywhere in Central Florida to visit us or just call one of our Professional Inventory Specialist for more information and schedule a VIP appointment. Whether you’re searching for a used car for sale in Clermont or a used SUV, Headquarter Mazda’s extensive pre-owned inventory caters to every driving need. On a budget? We even offer a variety of affordable used cars under $15,000. Additionally, we always have rotating used Mazda deals on hand to make the car-buying process that much simpler for you. Explore our used car inventory below, which includes used Mazda3 options, used Honda cars, Toyota SUVs, used trucks and much more. Our used car inventory is always changing, so you’re sure to find the used car that suits your Winter Garden drive. Ready to see our used cars in person? 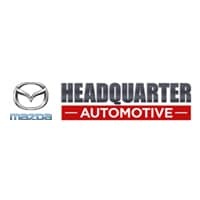 Make your way from Windermere to Headquarter Mazda for a test drive today, and be sure to check out what we are up to in the Clermont community!